Do I need FDNY Permits at my Jobsite? FDNY permits are becoming more and more relevant, especially for contractors. With recent incidents occurring at jobsites around the city, the FDNY is stepping up to the plate to make the city a safer place for all. From burn permits to certificate of fitness, and FDNY approvals, there are many things to look for. If you’re a contractor looking to weld on a construction site with an oxygen acetylene torch, you’ll need a FDNY permit for the use of acetylene torch on jobsites. One of the primary FDNY permits required for new construction and renovation projects is the torch use permit for oxygen acetylene torch permits. 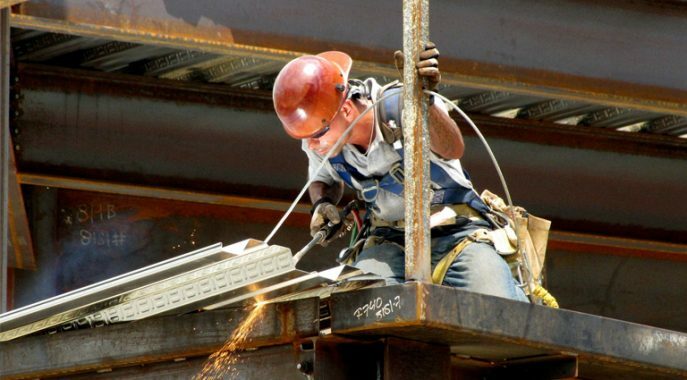 These permits allow for the operation of welding equipments at job sites. Oxy-acetylene torch use permits are issued to the contractor per construction site. That’s correct, a contractor needs a torch use permit at each site they will be using the equipment at. The opposition would be to use the welding equipment without permits and receive violations. This costs more in the long run as the DOB inspectors and FDNY have hired more inspectors than ever to ensure compliance at construction sites around New York City. Before you contact us for site-specific torch use permits, ensure the welder has a certificate of fitness for torch us of flammable gases. A certificate of fitness is used to qualify a person to use the torch at permitted sites. This is issued by the FDNY after completion of the examination at MetroTech in Brooklyn. For more information on obtaining the certificate of fitness, see the FDNY resources page. Applying for oxy acetylene torch permits requires several documents. General Liability insurance must be up to date with the DOB and a DOB permit is required in order to pull an FDNY permit for torch use and/or gas storage. If no DOB permits are issued for the construction site, the FDNY will not issue a torch use permit. Direct Access Expediting has more than 25 years experience in expediting, consulting, and applicant services. We provide quick turn-arounds during all stages of construction. Whether a violation forced the requirement for a torch use permit, or you’re preparing to bid for your next contract, we will assess and acquire necessary permits to start construction. We provide all paperwork to make obtaining a torch use simple. Our expertise allows your work to continue quickly. Please contact us now regarding your situation so that we can expedite your permits. You may also reach our office at (212) 732-5984. Posted in FDNY and tagged acetylene torch, acetylene torch permit, burn permit, FDNY, fuel storage, permits. ← What is the Applicant of Record?